Miró Watch straps are made of calf leather and stainless steel. 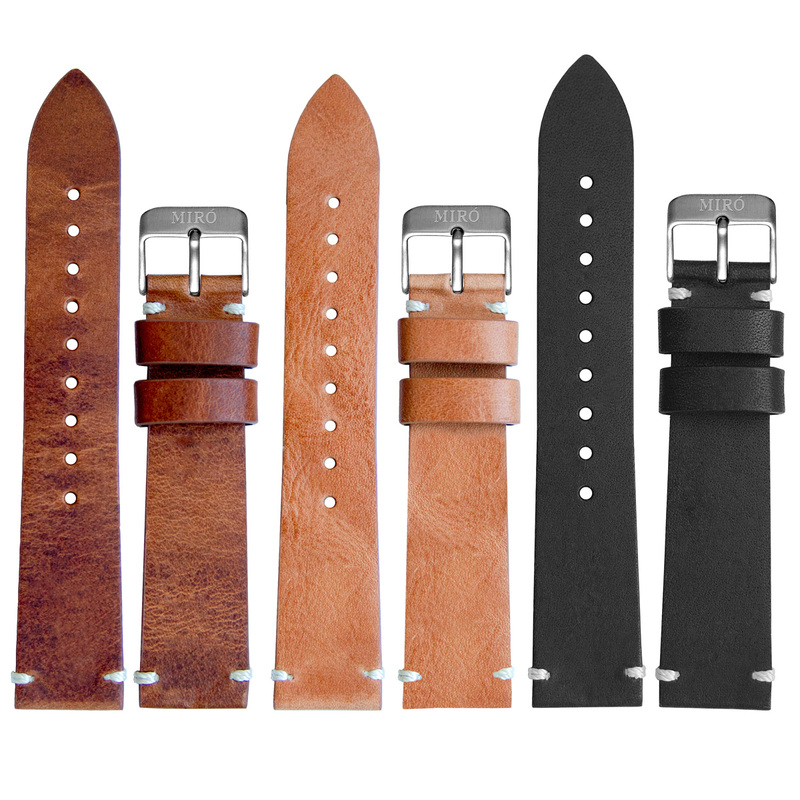 Our watch straps fits our own watches as well as all watches matching the strap width. 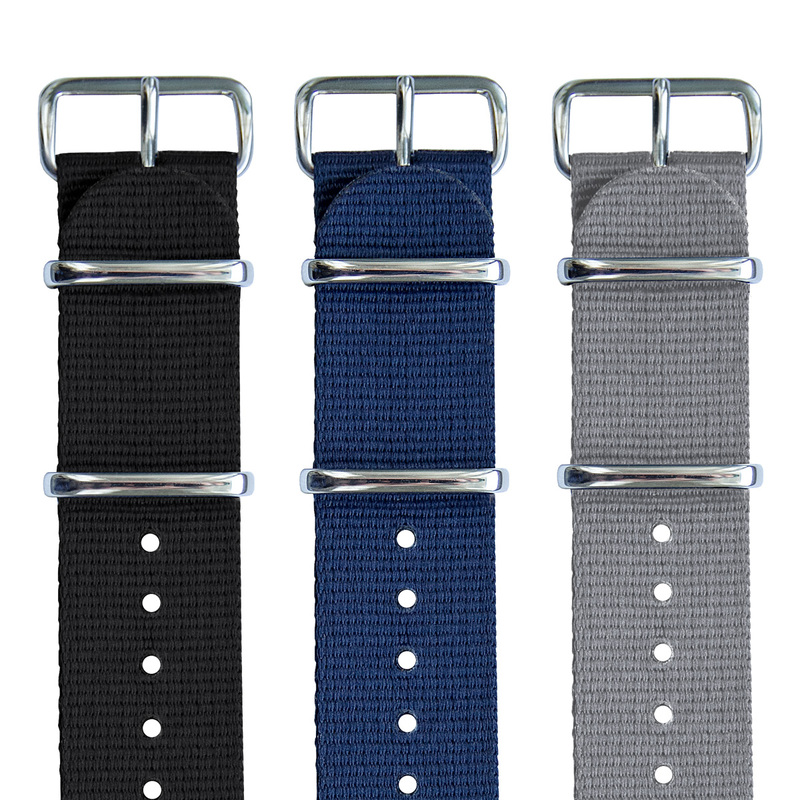 Our watch straps are available in different widths and styles. 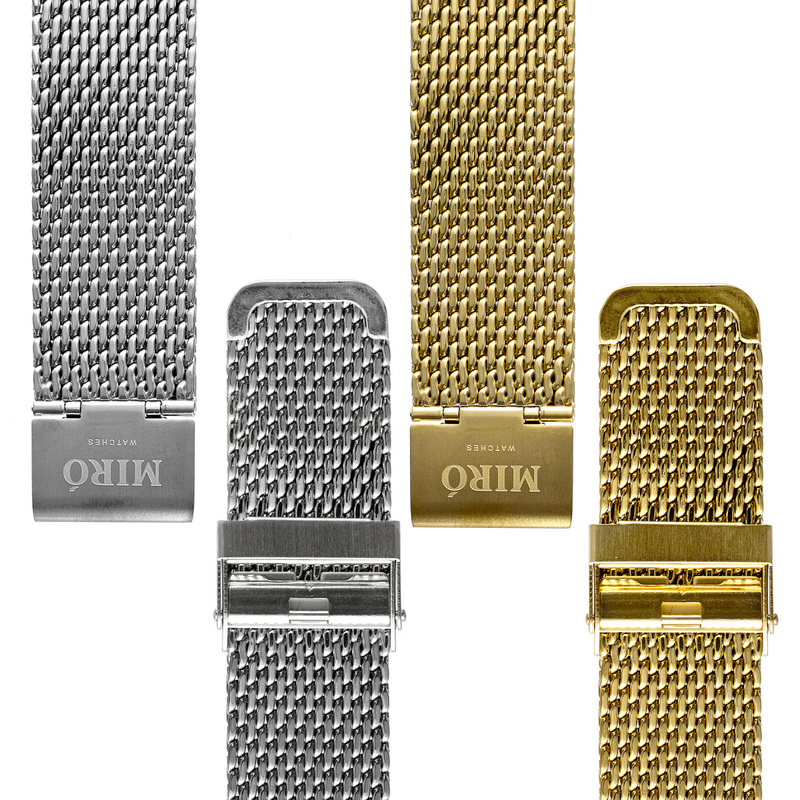 If you want to renew the look of your watch you can buy one of our replacement watch straps.